Do you know what your retirement income needs are? How much will it cost you to live during retirement? There is no one magic answer as your retirement income should be determined by your personal needs. David Trahair, CPA and financial writer, concurs that retirement is a personal case-by-case situation. He advises how to calculate your retirement goal based on your own personal situation, a one-size fits all approach to retirement planning is useless. 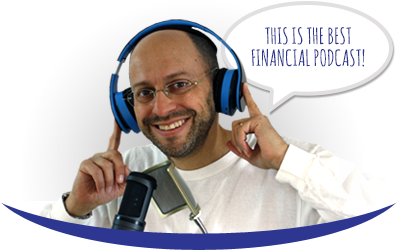 David explains how listeners could look at their financial needs and plan accordingly. 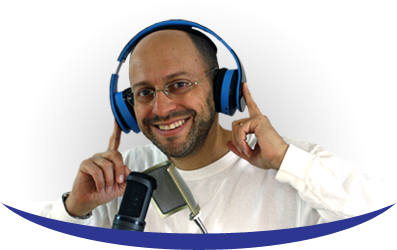 Doug shares a listener letter from “Stewart.” Stewart asks Doug to explain Monte Carlo simulations and why they are useful in financial planning. In addition to Doug’s explanation, you can watch this video on the subject. Follow David Trahair by visiting his website or reading his books The Procrastinator’s Guide to Retirement, and Cash Cows, Pigs and Jackpots: The Simplest Personal Finance Strategy Ever. Watch Do You Know Your Retirement Income? on YouTube. Everyone’s personal financial situation is unique. Bearing this in mind, how does it affect your retirement plans? Douglas Goldstein: I am very excited to have on The Goldstein on Gelt Show, David Trahair. 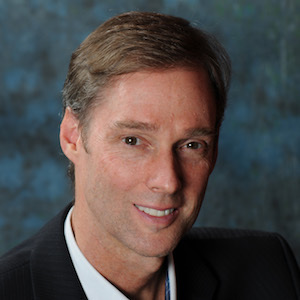 He is a CPA, a national bestselling author, and a financial columnist. His background is in taxation, but he realized not so long ago that he had a knack for teaching people about personal finance. He’s written a number of books with really great sounding names, like Smoke and Mirrors: Financial Myths That Will Ruin Your Retirement Dreams. I also like the title, The Procrastinator’s Guide to Retirement: How to Retire in 10 Years Or Less. David, you’re on the 10 years or less track for retiring? David Trahair: Yes I am, Doug. I am going to be 59 this year, although you know, I don’t really, totally plan to retire. I don’t have a drop-dead date of 65, and I don’t want to stop and do nothing. I hope to continue doing part of what I do now, and hopefully, earn some money doing that during retirement. I don’t really have a specific date in mind. How Much Do People Need to Retire? Douglas Goldstein: I admire that, and good for you. However, there are enough people out there listening to us today who want to retire. How much do people actually need to do that? David Trahair: That’s a really good question, and I often get that question posed to me. The problem is there is no one right answer. Everybody’s different. I like to say that each of our personal financial situations is as individual as our fingerprints. For example, relying on a rough rule of thumb, you’ll need approximately 70% of your pre-retirement earnings to maintain your standard of living after you retire - that’s how you compute how much you’ll need to save. That’s a dangerous calculation, though. There’s a chance that 70% might be right, but it might be the totally wrong answer for you. You get to retirement either having saved way too little, or possibly saved way too much. It’s not an optimal way of determining how much you need to retire. How Do You Actually Figure out What You Need to Retire? Douglas Goldstein: I want to dig into this because I think you’re trying to weasel out of the question. The question was, how much you need to retire, and you’re saying that everyone’s different, so everyone really needs different amounts; I accept that. Tell me, how do you figure it out? How can you figure out what you need? David Trahair: Well, you figure it out because in my books, I give away Microsoft Excel spreadsheets. For instance, the one in the Smoke and Mirrors book is called the “Retirement Optimizer.” It asks you all of the questions about your life in terms of what you make now and what you want to replace after you retire. What other retirement sources are you eligible for, like a pension plan? Is there security? What do you think inflation’s going to be? It will project your income from retirement savings based on your current situation. You can see, looking into the future, whether you’re saving too much or too little, and do a calculation working back. That is why I love Excel; you can use a function in Excel called “Goal Seek” that can work backwards, given how much is in your retirement savings now, or what your objectives are. It’ll give you a figure – here is how much you will need to retire in your specific case. The second advantage of that is that they can change their answers as things change in life. My answer is, I can’t give you a number, but I can give you a spreadsheet that will allow you to calculate the number. Again, any financial planner probably has similar spreadsheets, so Doug, I’m sure that you have something like that as well. Douglas Goldstein: I think I like that model. That’s a good answer. I actually like your answer because I think the important part of it is that people need to realize that it’s not about getting as rich as you can. It’s about figuring out – and I don’t want to bore people with the two words I am going to say – but it’s about figuring out the cash flow that you need – how much you want to spend every month and how much your income is. Then you would figure out how much money you need. David Trahair: Definitely. One of my books is called Cash Cows, Pigs and Jackpots: The Simplest Personal Finance Strategy Ever, and the whole theme of that book is cash flow. It says, “Forget the net worth statement.” The net worth statement is a quick and dirty little calculation of where you stand at any point in time, but it has very little to do with your life or your cash flows. It can be misleading to focus on your net worth because it motivates you to do things like borrowing to invest, and hoping the stock market’s going to make you rich, without considering the cash flow implications. Douglas Goldstein: Let’s dive into this risk thing also. I know this is an issue that you bring up a lot because there’s a real temptation for people to get into the stock market as they see the potential. But you talk more about the risk. How do you see the balance between the risk, and the possibility to actually grow your wealth? David Trahair: That’s a really good question, and again it comes down to the individual we’re talking about. For example, I am an ultra-conservative accountant. Until recently, my retirement savings in Canada – it’s called the Registered Retirement Savings Plan – was 100% fixed income. Just guaranteed investments, just savings vehicles that are making me about 2%, because I hate the thought of losing money. When we went through the latest crash – 2008/2009 – many people in Canada and the U.S. lost approximately 50% of the value of their equities from June of 2008 to March of 2009. That would cause me to lose sleep at night. While historically going back over the last 50 years, the “stock market” has done better than fixed income products, there is no guarantee that in your life, in my life, in the listeners’ lives, the stock market will be kind to them, given how much time they’ve got from now until they’re going to need that money. Risk is a huge issue, and it needs to be something that people need to think about, and also think about when something happens, and then maybe revise their ability to accept risk. Douglas Goldstein: Yes, that’s a big risk. David, you made a very good point about not investing in the stock market because it’s not guaranteed, and you gave a good example of what really happened to a lot of people, which is, they went in with all good intentions to stay invested for the long term. It’s really easy to say when the market’s going up. But as soon as it went down, and then it went down more, and then more, and it looked like the world was going to come to an end, then they said, “Oh, maybe this isn’t for me.” A lot of those people sold out at the very bottom. So it’s not just a question of statistically that it’s a good idea to be in the stock market; we can show people on paper why it probably makes sense to have money in the stock market. But if you can’t stand the heat, get out of the oven, and that’s okay. And what you approve of, or the point that you’re making, is you don’t need the stock market. There are other ways to actually manage your money in fixed income. My question to you is, because you talk about being able to retire, or developing a plan to retire in 10 years, if you don’t grow your portfolio enough, how can you have enough money to do that? David Trahair: There are two components to growing the portfolio; it’s the amount of money you put in, and the rate of return that you generate on that portfolio. The problem a lot of people are in is they have hardly any money saved. They’re spending more than they make, they’re in debt, there is nothing to put into their portfolio, or a very small amount. They’re hoping for some amazing investment advisor to come out of somewhere and guarantee them a 10–15 % rate of return on their portfolio with no risk. This is how they’re going to make their dreams come true. Unfortunately, and I guess I’ll be the one to tell people if they don’t already know that, there is no such thing as a guaranteed rate of return of 10% or 15%, or even 8% or 10%. There is a potential rate of return like that, and historically there have been many periods of time when the stock market has provided that. But there is no guarantee. In fact, anybody who promises somebody a guaranteed high rate of return is probably running some form of Ponzi scheme. It’s selling this idea that there is a guaranteed rate of return and then spending all the money. Douglas Goldstein: Watch out when people tell you things that sound too good to be true. But someone like you is talking about retiring early, perhaps. What’s the trick? David Trahair: The honest truth is there really is no trick, and I think you and I will be similar in this thinking. My main recommendation to people, when it comes to personal finances, is to track their spending. They can use some program and in fact, there’s a free program called Mint.com, for example. Track their spending so they can see where their money is flowing currently. Once they see where it’s going, it’s easier for them to attack the bigger areas where they may be wasting money, or they could make a decision and reduce that cash outflow. They’ve got to balance their budgets so that eventually they get to the point where they’re bringing in more after tax and other deductions that they spend. It’s the only way, barring a lottery win or an inheritance, that they’re going to crank up their retirement savings. So if they’re starting later on in life, say, at 55, with very small amounts of savings, the key is over the next 10 years, to get their finances under control and get their cash flow under control, so there is a significant amount hopefully, of money, going into their portfolio. Step number two is to have it managed effectively. Find a professional financial planner that charges reasonable fees and provides a reasonable return in most cases. So it’s a combination of the two: money put in plus a good rate of return. Douglas Goldstein: I am going to say hurray on both of those, but obviously I agree with you on the second one. But on the first one also, it is so important because people just don’t save right. If you don’t put aside enough money, that is probably the number one determining factor of if you’re going to be financially successful. Which is, how much money are you actually saving? Douglas Goldstein: Hey, David, I see that we’re out of time, but I know that you have a lot of really good ideas for people. In the last few seconds, tell me, how can people follow you and follow your work? David Trahair: They can just go to my website which is my name, Trahair. Douglas Goldstein: David Trahair, thanks so much for taking the time. David Trahair: Thanks for having me, Doug.